So, week two of 2016 here at Eskenzi was most definitely no shrinking violet compared to last week’s phenomenal results! This week, Microsoft released its final patches for Internet Explorer 8, 9 and 10 along with an “End of Life” notice, to encourage users to switch to Internet Explorer 11 and Microsoft Edge, currently only available on Windows 10. These changes were originally announced back in August 2014, and it is estimated that these older, legacy browsers could account for more than 20% of web traffic. 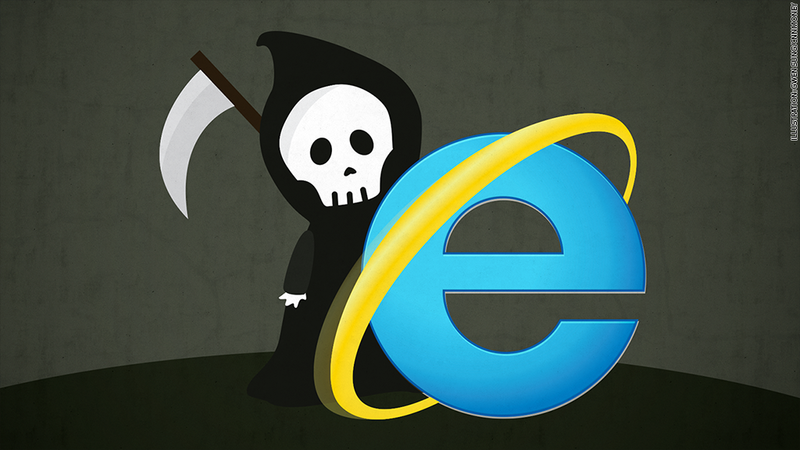 Computerworld reported that as many as 340 million Internet Explorer users are still using IE 8, 9 or 10! NetMarketShare estimates that Internet Explorer accounts for 57% of the browser market, compared with 25% for Chrome, 12% for Firefox and 5% for Apple’s Safari – That’s a lot of people using browsers that are now potentially unsafe, and can no longer be patched. This means that Internet Explorer won’t receive any more security updates, or other patches. Those still using the browsers could be vulnerable to security threats and even hacks; depending on what other (if any) security software is installed. A story of this type throws open the rapid response doors for Eskenzi clients, many of which had sound advice on what users, who still use Internet Explorer 8, 9 or 10, can do to ensure they stay protected, despite this news. Four Eskenzi clients commented on this story – ESET, Tripwire, AppRiver and Bromium – and one from our sister agency, SmileOnFridays – Tenable, which resulted in over 250 pieces of coverage across National newspapers, business publications and trade press. The coverage obtained was truly global, with publications in the UK, United States, France, Germany, Kenya, Japan, Ghana and Argentina (and many more!) reporting on the news with commentary from our clients included. Hits include the BBC, The Metro, Business Reporter (included with The Daily Telegraph), BT, SC Magazine, Dark Reading and Yahoo! News. Several journalists reached out to Eskenzi for specific commentary, as we are so well known to those who report in the security and technology space, knowing they would get great quotes to use in their stories, as well as sound advice for businesses and consumers alike. We’re lucky to work with so many amazing clients who can, at the drop of a hat, pull amazing quotes and advice out of the bag. I wonder what week three will deliver.